Good Morning Fashion Friends! If you love fashion as much as I do I KNOW you all have been stalking New York Fashion Week just as I have. Hopefully one day I’ll be able to attend! *crosses fingers* Anywho, it was lovely checking out all the designers debut their new collections and checking out all of the trends that are popular for Spring of 2014. I’ll put below a few of my favorite trends so far. I hope this trend never dies! 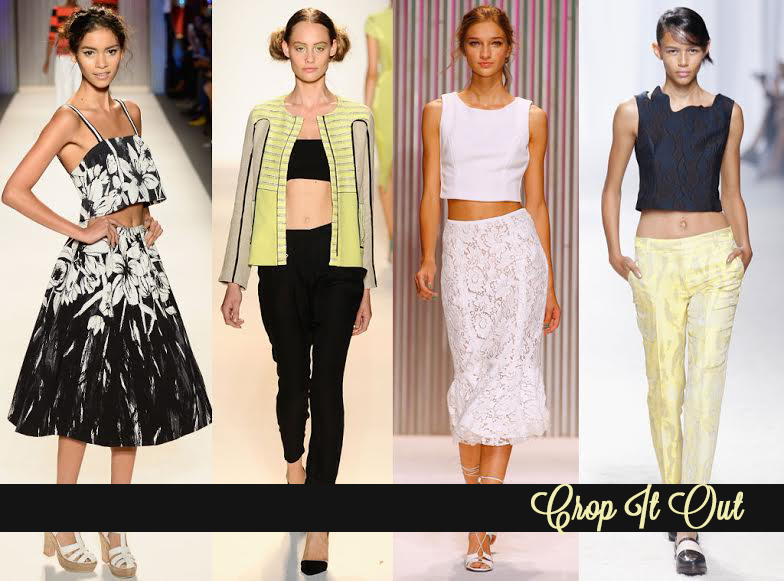 Crop tops are one of my favorite trends currently. Digging this trend but you rather not show so much belly? Try pairing it with a high waisted bottom and it should definitely do the trick! Not to mention you will look super stylish. Who says fashion doesn’t repeat itself? 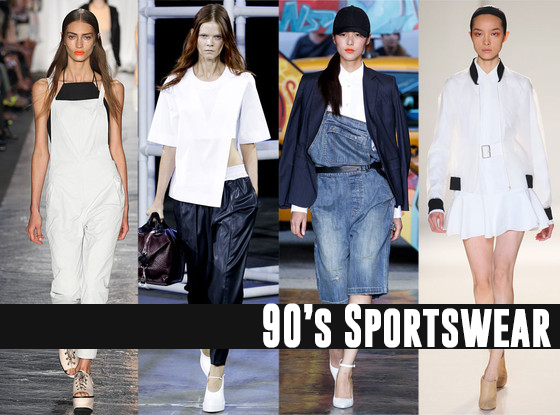 This trend is a tribute to the 90s with a modern twist. I am still waiting to snag those uber trendy overalls! Designers such as DKNY, Alexander Wang, and Rag & Bones featured this look on the runway. Its not just hot, its white hot! This trend is also one of my top favorites because its so classic. 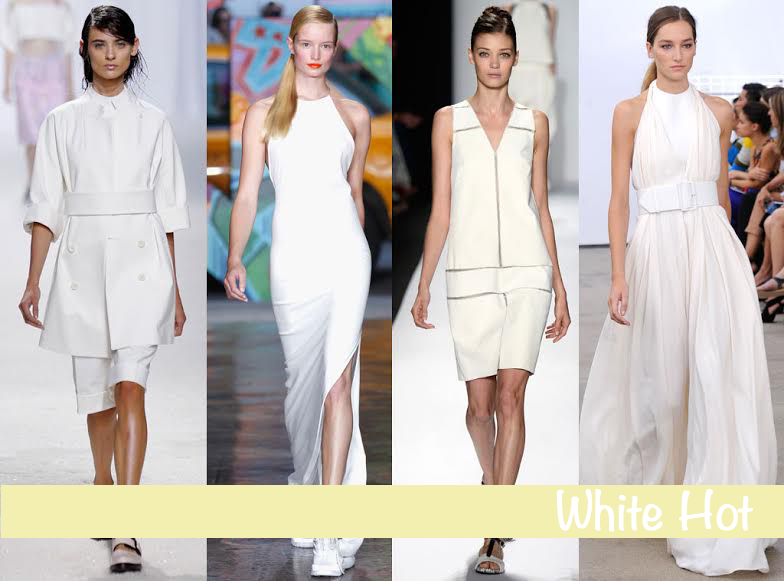 Wearing an all white outfit is not only refreshing but strikingly bold. 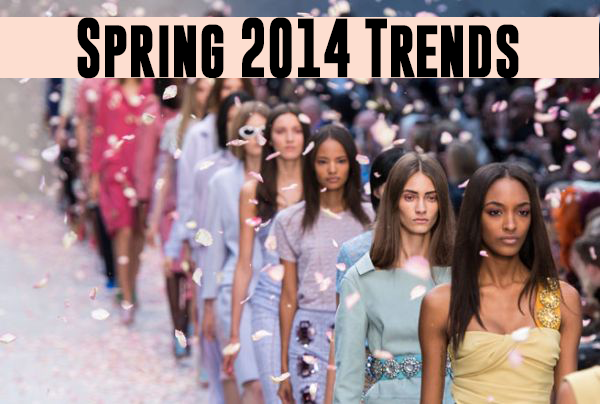 So fashionistas/os what is your favorite trend for this spring?